Though it may seem like there's no way out of the icy depths of winter, never fear, a cure has been found. 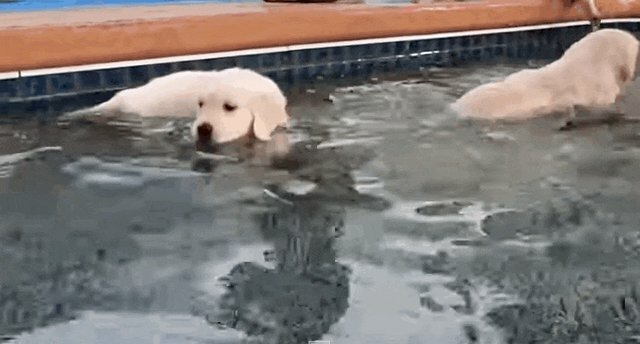 Watching puppies learn to swim. 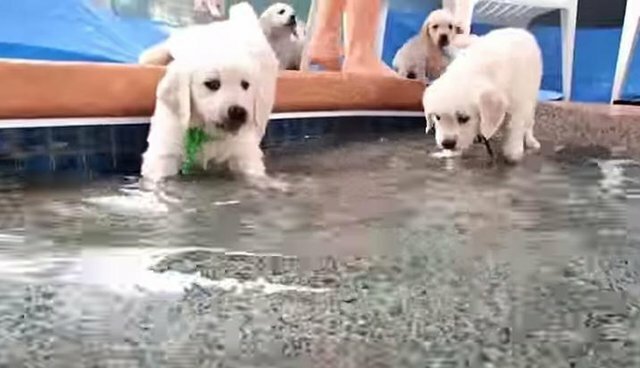 These brave pups set out to conquer a dog pool, though at first everyone is a little tentative. "I-I-I don't know about this, fellas." 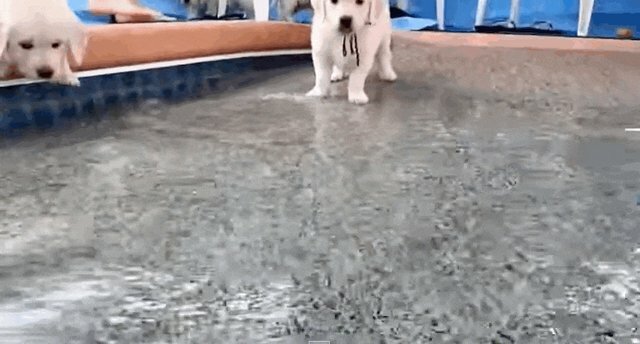 But as soon as the first intrepid explorer jumps in, they all want to try it! Then it's all or nothing. 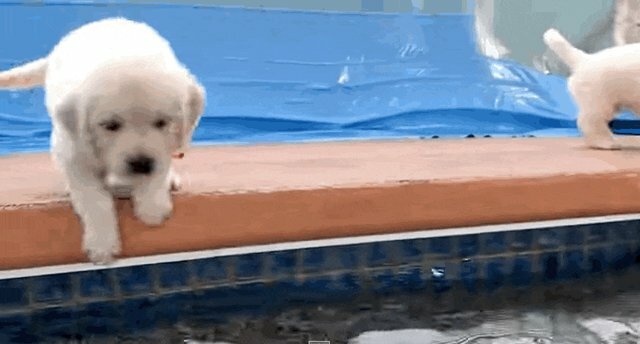 Everybody's going for it! Yee-haw! 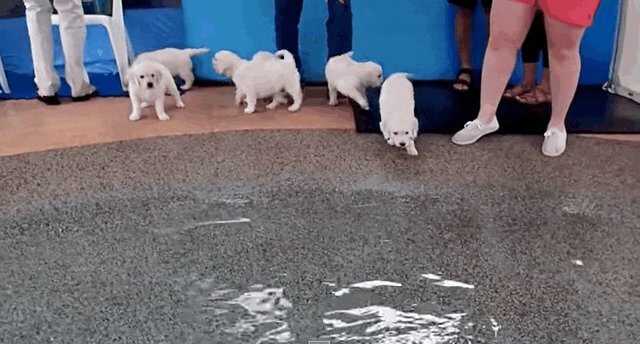 it's a regular puppy pool party.